Acusensus is delighted to announce the appointment of Shaun Miller as its International Business Development Manager. In this role Shaun will be responsible for identifying and leading strategic business development, alliance and acquisition opportunities particularly in the Middle East, Asia and the Americas for Acusensus. 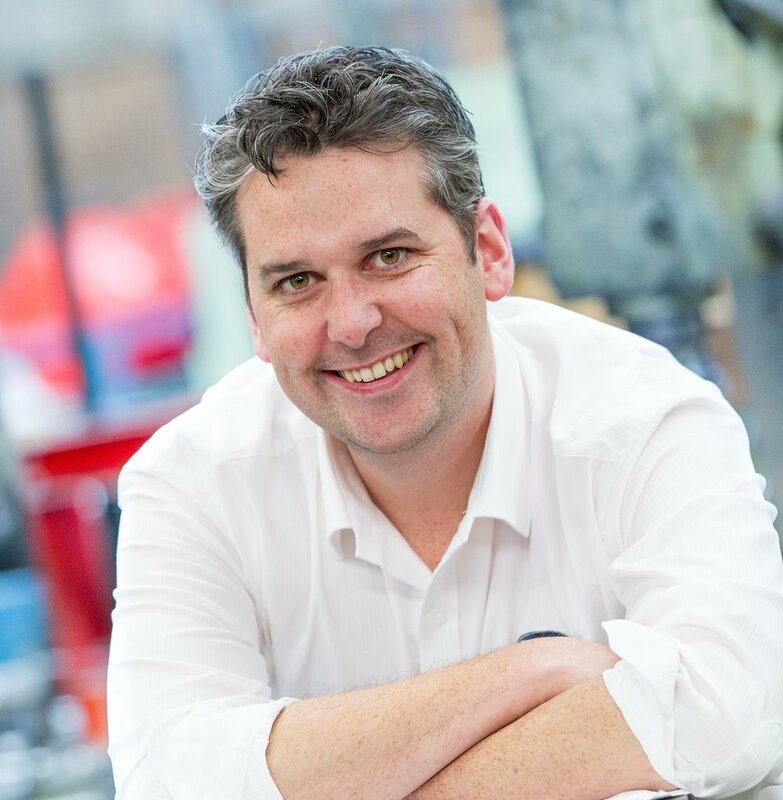 Shaun Miller has built an international career leading business development activities with Fortune 500 companies, startups, local government and global teams. Shaun has a proven track record of business development and relationship building success across various industry sectors including education, energy, defence, construction and government sectors around the globe including leading a subdivision of Illinois Tool Works (ITW) for 3 years in their market entry and growth objectives in China. Shaun joins Acusensus with a strong global network of professional contacts and experience leading business development and market entry strategy and executing start-up, scale-up and export business programs across North America, Europe, China, India and South East Asia. “Shaun’s appointment reflects our focus on actively exploring opportunities to collaborate with international jurisdictions and partners to address major road safety issues through the provision of advanced technology enabled solutions.” Mr Jannink said. Acusensus Heads-Up cameras to be as revolutionary as random breath testing when it comes to preventing accidents on the roads. Thousands of motorists are being caught using their phones while driving every day and there is a disturbing reason why people think they can get away with it. Compared to speeding and drink driving, mobile phone distraction is a “major unaddressed source of road trauma”. Campaigns warning about the dangers of phone use have ramped up in recent years, with the NSW Government even increasing the penalty for using a phone while driving from four demerit points to five. The lack of a technological solution to this issue may be the reason drivers continue to break this rule so frequently. Speed cameras and roadside drug and alcohol tests are a deterrent for many drivers, but until now there hasn’t really been technology specifically designed to catch distracted motorists. Acusensus is pleased to announce the appointment of Ron Johnson as its inaugural Chief Financial Officer (CFO). Ron has over 20 years’ experience in finance, commercial and executive roles in the road safety camera and automotive industries. Most recently, Ron served as Group CFO at Bob Jane. He previously was Group CFO at Redflex Holdings Limited. During his 15 years with Redflex, Ron was a key player in growing the business from a $7 million market cap to $310 million at its peak. “Ron’s appointment is reflective of our investment in leadership talent as we continue to grow the business. It sets us up to deliver strong outcomes for our customers, people and shareholders,” Mr Jannink said. “I am excited to join Acusensus, which is on a journey toward being the leading provider of pioneering road safety and transportation solutions. Alex and the team have developed trailblazing technology to solve challenging problems, and built a fast-growing business underpinned by a culture of innovation, integrity and inclusivity.” Mr Johnson said. Acusensus is proud to announce that it is partnering with the NSW Government to address the significant challenge of distracted driving. NSW has a pioneering initiative to improve road safety through the introduction of illegal mobile phone use enforcement cameras. Acusensus is very pleased to have been selected to partner with the government for this pioneering road safety project. Mobile phone use by drivers is very prevalent and very dangerous. Drivers using a mobile phone have a dramatically raised crash risk, and we know from our system tests that right now 3% of drivers will be illegally using a phone. The Acusensus safety camera solution detects any motorist using a mobile phone illegally, day or night, at any speed and it can be deployed anywhere on the road network, both metro and rural. The quality of the evidence and the high detection performance ensures that anybody who does text and drive will be caught and can be prosecuted. This new technology provides the government with an effective tool to enforce illegal phone use and drive behavioural change to reduce the prevalence of distracted driving. This behavioural change will lead to less crashes and safer roads for all of us. Enforcing the use of mobile phones is frustratingly difficult for Police forces. Detecting and enforcing drivers in-motion presents numerous operational challenges, and so most infringements for distracted driving are issued for drivers stopped at lights, often utilising lane-splitting bicycles or motorcycles. Unfortunately this means that the most dangerous use case is left mostly unenforced. Acusensus is focussed on addressing the challenge of in-motion enforcement, and we have avoided providing solutions to enforce stationary mobile phone use despite the comparative ease to do so. Our reason for this is simple, we do not want to encourage drivers to move their phone use behaviour from stationary to in-motion. Enforcement of stationary drivers may provoke the wrong message, generating an incentive for drivers to unsafely shift phone use behaviour to when the vehicle is travelling at speed. We are also mindful that a successful enforcement programme requires public endorsement, and that most of the population would be more accepting of a high-speed phone use fine rather than a stationary one. Acusensus has developed tools for Police to help them enforce in-motion offenders at speeds all the way up to 300km/h, anywhere across the road network. Our discussions with agencies focus on how we can help them drive the right kind of behavioural change, efficiently and safely. Our managing director and chairman attended the Mumbai Traffic Conference at the end of October, and both presented at the conference on road safety in India. Mr Mirchandani presented on the specific needs of enforcement programs in India, particularly advocating the use of radar technology over ANPR technology given the local conditions. Mr Jannink presented the company’s new distracted driving enforcement technologies. Throughout the conference we had exceptionally strong interest from multiple states in India and we look forward to progressing these opportunities for our new life saving technologies. 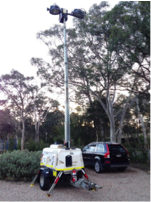 Our live enforcement trailer demonstration proved to be particularly powerful, with our detection system running outside the venue, and transmitting images live over 3G to the display at our large stand in the conference. We were proud to exhibit at the ARSC, helping to educate our road safety leaders on the dangers of distracted driving and the new technology available to address it now. We were thrilled to host such a distinguished list of visitors from the visionaries within government departments to the department leaders to government ministers. German police crackdown catches 3100 phone offences in one day - great initiative but can more be done? German police recently initiated a single day program to spot check distracted driving behaviour across the nation. They employed 11000 officers to pull over 51000 drivers, issuing 3100 tickets for phone use in the process. We welcome initiatives to reduce distracted driving behaviour. If the public credibly believes their illegal behaviours will be enforced, then they will consequently reduce the behaviour. We do worry though that these crackdowns are not sustainable - when will be the next time the police agency decides to do another one? This lack of sustainability can be considered as an economic problem. The salary cost of 11000 officers for one day is roughly $2.8m excluding overheads (AUD, $250 per worked day). The officers issued fines worth $0.3m. For the same investment, the government could lease a whole fleet of automated enforcement trailers like Acusensus provides for a year or more. If legislation is in place, in the first day of operation this fleet would issue significantly more penalty notices than the entire police operation. This fleet would then keep issuing notices every day of the year, consistently driving behavioural change while not taking funds away from other police and government operations. Throughout the past several years the developed world has seen an increase in fatalities on the roads of many of its nations. This increase has bucked the trend of decades of decline in the absolute number of people killed in road accidents. We have graphed the changing fatality rates of five countries as an average indexed against the lowest fatality level recorded in each country. This result is stark - a constantly worsening level since an almost universal minimum in 2013. The UN declared 2011-2020 to be the decade of action on road safety, and specified the 5 pillars of road safety - road safety management, infrastructure, safe vehicles, post-crash response and road user behaviour. Improvements in any of these categories will lead to reduced casualties. So where have we gone wrong? What was different about the period 2013-2017 compared with the period 2007-2013? Every pillar bar one has almost certainly seen continuous improvement over the past decade in our graphed countries. Cars are safer. Infrastructure is better and designed safer. Trauma care and road safety management systems are constantly improving. This leaves road user behaviour. We think behaviour has objectively worsened, and we think a primary factor is the normalization of perpetual phone use. The USA attributes over 9% of its traffic trauma to distraction, but our graph below indicates it may be contributing well over 15%. Can you think of another credible reason for this dramatic change in trend? Acusensus is pleased to announce that it is an Exhibiting Partner of ARSC2018: the Australasian Road Safety Conference. We look forward to discussing road safety with potential partners at the conference, come talk to us at our booth in Sydney between 3rd and 5th of October. Acusensus is very pleased to announce the appointment of Sam Almaliki as our commercial director. Sam has impeccable contacts and credentials and was interested to join Acusensus to further the social impact mission to reduce road trauma. Sam will enable our engagement with government in Australia to assist departments in recognising the life safety benefit of our distracted driving enforcement systems.